With our roots in the heart of the state, Wisconsin's right-sized public university launches students on meaningful life journeys through transformational learning in the arts and sciences. Our open-minded, close-knit community, both on and off campus, inspires students to experience the world unfolding in new ways. Come see for yourself at the place Newsweek calls one of the nation's Most Interesting Universities! Four off-site field stations - Central Wisconsin Environmental Station at Amherst Junction, Treehaven near Tomahawk, the Aquaponics Innovation Center in Montello and the Northern Aquaculture Demonstration Facility at Bayfield. 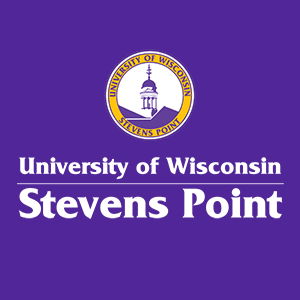 Since its founding as a teacher's college 125 years ago, UW-Stevens Point has grown to offer more than 100 program options within 80 baccalaureate degree programs, 90 minors, and 16 graduate programs in the College of Fine Arts and Communication, College of Letters and Sciences, College of Natural Resources, College of Professional Studies and University College. According to a June 2015 study by NorthStar Consulting, Madison. For every $1 of state tax investment in UW-Stevens Point, there is $11 in economic activity in the state.